In this Blog, Rachel Wood, Level 3 BA Fine Art Textiles student at Orkney College UHI, documents the process of curating an exhibition from the Pier Arts Centre’s Collection. We have been given the task to work as a group of 6 people to come together as a team and curate a mini exhibition with the use of the Pier Arts Centre’s permanent collection. The brief allows us to be open to any themes, any artists and any selection of works. 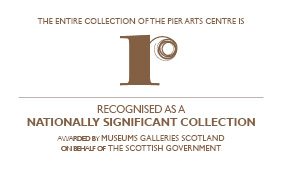 The outcome should include effectively working alongside the professional staff at the Pier, efficiently operating as a learning group of curators, thoroughly recording all processes, and finally a successful exhibition at the Pier Arts Centre. On the 27th of November we had our first meeting at the Pier Arts Centre to go over the brief and discuss any first thoughts we had. We were shown the room that the exhibition would take place in so we had a visual idea of what we had to work with. Speaking as a group and looking at the book including the Pier’s permanent collection, we all put forward some of our favourite artists as a starting point. These included artists such as Ben Nicholson, Margaret Gardiner, Alan Johnston, Anish Kapoor, Barbara Hepworth, Sara Barker and Margaret Mellis. Through looking at some of these artists and works we came up with some early themes that we could base the exhibition around, which included mixed media, abstract, geometric form, relief, line, black and white contrast with colour, impact, contrast, and for artists such as Barbara Hepworth to have her sculptural work and graphic work. Personally, at this point I was most drawn to the theme of black and white works contrasting with vibrant coloured pieces due to my love for Anish Kapoor’s etchings. At the second meeting at the Pier on the 18th of December, the group managed to narrow down the works to a selection of 9 works and 8 artists along with the theme of ‘FLOW’. The theme of flow was raised through the ideas of having the chosen works blend and work well as a whole. The thought of having the colours and/or shades evolve around the room. These artists and their works were chosen as we felt they all had links within the works to one another and sat well together. The pieces had similar attributes of shapes and forms (circles/curved line), similar colour schemes that was important for the theme of flow and similar looks due to how they were created. On the 22nd of January we were back at the Pier to see the physical artworks we had chosen, to see them in the room and to possibly arrange and cut down/change what we had initially concluded. 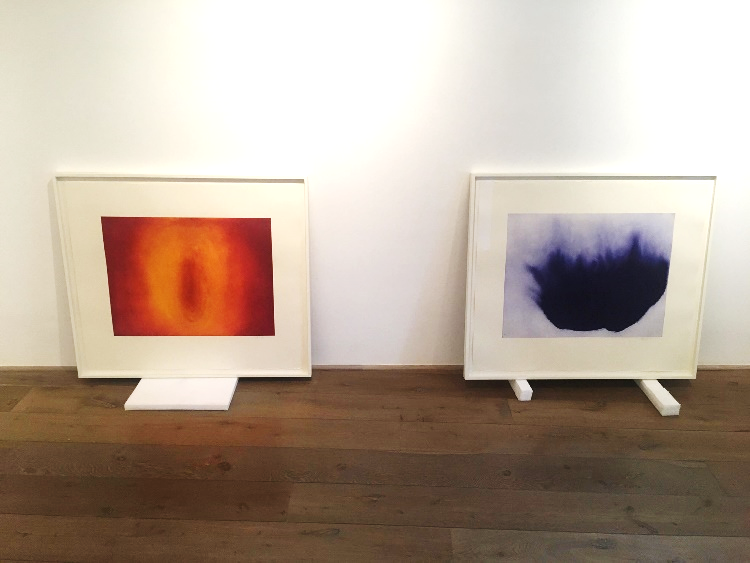 We started by seeing the Anish Kapoor collection of etchings as we knew they were the largest pieces and that we were probably going to have two of them. To begin with we were drawn to the brown and deep red/yellow and orange coloured ones in the aspect we knew the other works we had chosen had similar colours that we could all link together. Personally, I preferred the blue and red/pink ones as they just took my attention more than the brown and more subtle ones. We then brought out the Garry Fabian Miller Eclipse pieces and stood them along side the majority favoured Kapoor works. When seeing these standing together, I liked it but knew it just wasn’t quite right. I really thought the red and orange glow etching worked well with the Fabian Miller works as they linked, and both evoked the softness and luminescent feel. But the brown etching just wasn’t working. I suggested trying one of the blue etchings in replace of it just for a mix in colour and because some of the other works we had chosen had blue tones also. I immediately thought this worked so much better. The orange and red and blue bounced off each other and made one another stand out more. The darkness of the blue still linked with the ‘Eclipse’ pieces with their darkness in the middle, and it still had a wispiness to it also. The blue piece having a harsher line and the movement of it also linked very well to the Paolozzi sculpture in the middle of the space. After good debate we were finally happy with that outcomes, meaning it was now time to see the other pieces we had initially chosen. Next was Calm Water (at Mill Bay, Hoy) by Bet Low. I think it felt smaller than most of us had imagined but we still loved and wanted to include it. The blue/grey soft tones tied in with the blue etching, also the yellow strip of moonlight reflection allied with the red and orange one. We tried it alongside the Fabian Miller works but felt each of the two artists pieces would breathe and stand out more on their own. Then was the Ben Nicholson ‘3 Circles’. Again, it was smaller than we initially thought but still agreed to keep it in the collection. 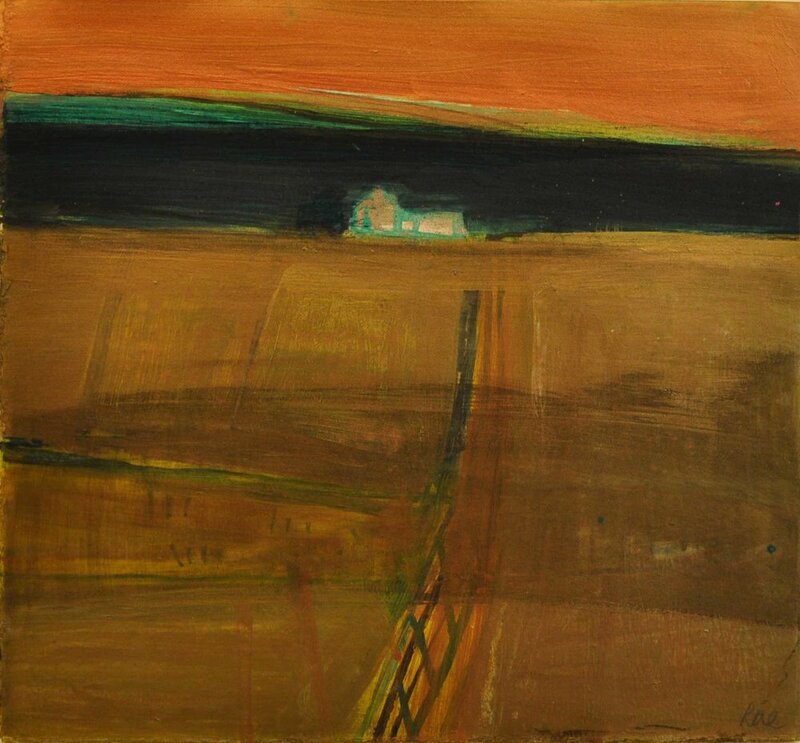 Roger Hilton ‘Black & Brown’ was next to be taken out. With then seeing all the pieces together it looked slightly empty, so we were suggested to look at another artist or another work from one we already had. We chose to add another Hilton piece, and we all agreed on the ‘Brown, Yellow & Black’. In our initial selection of works and artists we had included sculptures ‘Two Forms’ by Barbara Hepworth and ‘Bronze 1956’ by Kenneth Armitage but were advised at first that what we already had collected and placed within the space was enough and worked well but also for security reasons it would be too difficult to have them. This is because we had thought about placing them in the two windows, forgetting that there would need to be a screen or some sort of barrier between the sculpture and public to ensure its safety. I felt through that process we worked brilliantly as a team, listening to what one another had to say and suggest, always being open to change. Andrew gave us space to have our own thoughts and ideas but gave great advice when we needed it. Even though 6 people in a group for this type of project can be a lot for some people, it worked. This is probably due to our relationship as a close net group already, we are always around each other giving advice and constructive criticism and always have each other’s best interest. Working as a group gave a calmer feeling to the first-time experience of doing something like this and will allow me to feel more confident in myself if I ever had to do it on my own or another group again. 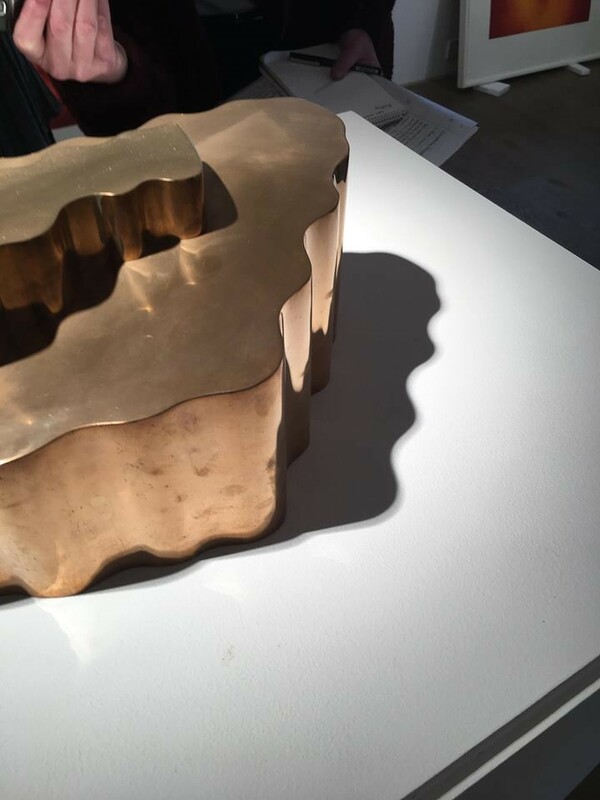 Flow: Transitions of Shape and Form is on display at the Pier Arts Centre until Saturday 23 March 2019. At the end of last month we said farewell to our Young Persons’ Programmer Creative Scotland Trainee Issie. In this blog she talks about her time with us and the last project during her traineeship looking at the work of Orcadian filmmaker and poet Margaret Tait. One of my last projects at the Pier has been coordinating a project that celebrates the work and life of the Orcadian poet and filmmaker, Margaret Tait. The project has involved me working with groups which are often overlooked within the Orkney communities, especially young people and children, as this is an area which my traineeship has focused on. The project has developed ideas around growing up in Orkney and how this differs to other coming of age narratives. This has included Voluntary Action Orkney’s Connect Project, which supports young people who are not in employment or education. Working with Connect has been a great experience for me, as I have been able to see the young people explore different ways of being creative whilst also thinking about their background. I also worked with the Connect group through the ScotArt project, so we were able to develop ideas that we discussed in November about Orkney. We experimented with animations using scrabble letters and further went onto creating a short film within Kirkwall. The film focused on areas such as Orkney’s rich history, from the sinking of the Royal Oak to the discovery of the North West Passage by Orcadian, John Rae. I also visited Papa Westray, one of Orkney’s smaller outer isles (known as Papay), as a part of the project. I coordinated a screening of Tait’s films at the hostel, Beltane House. Some of Papay’s older residents came along for the lunch club screenings and enjoyed films such as Place of Work, 1976, a film which focuses on the woman’s role in the home during the 1970s. Tait contrasts this with shots of workmen painting her windows, giving the audience a sense of confinement within the garden and walls of the house. It is also seen as a homage to the house, as during the time of filming, her Kirkwall house was due to be demolished. The short film was described by Tait “Place of Work was meant to define a place, or the feeling of being in one place, with the sense this gives one, not of restriction but of the infinite variations available”. The audience at Beltane were able to reminisce over images of Orkney in the 1970s, with one of them recognising one of the workmen in the film. I also showed them Portrait of Ga, 1952 and Colour Poems, 1974 which take a more avant-garde route. One of my favourite parts of my visit, was working with Papay school, which is currently made up of 6 pupils. I started the morning showing the class Happy Bees, 1954, one of Tait’s most recognised works, which revolves around the joys of childhood in Orkney. We played around with making animations, and the children experimented with lots of different techniques and topics, from a seagull being chased to scene in a jungle! In the afternoon we wondered around the school and the grounds taking short clips of the children’s surroundings, which includes a green house and 3 alpacas. Although my time on Papay and working with the Connect project has been short, it’s been a great highlight of my traineeship and a nice way to finish my time at the Pier. Our Creative Scotland Young Persons’ Trainee Issie Tovey talks about her recent trip to Shetland to take part in a Scotart project. A few weekends ago I was lucky enough to take part in Edinburgh Hogmanay’s ScotArt project in Lerwick, Shetland. ScotArt invites young people from across 14 different regions of Scotland to come up with a symbol to represent their area. The symbols will then be made into wicker sculptures, which will form part of the torchlight procession on the 30th December in Edinburgh as a part of the Hogmanay celebrations. I first heard about the ScotArt Project a couple of months ago through my current job as a Creative Scotland Young Persons’ Trainee at The Pier. Both the traineeship and the ScotArt project are part of Scotland’s Year of Young People 2018. My role as Young Persons’ Programmer involves getting as many young people involved with the gallery’s exhibitions and activities as possible. 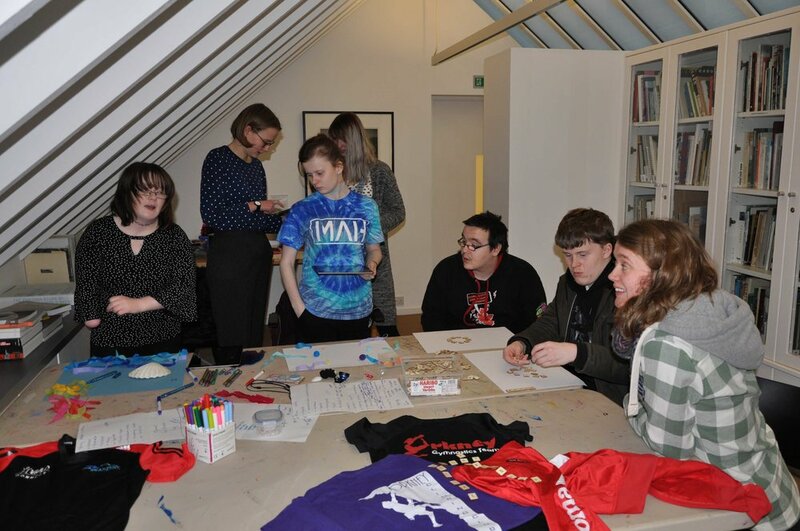 ScotArt is a great opportunity for young people across Scotland as well as Orkney to take part in creative activity. I think that art is a subject which young people often see as an "add on" or are given the impression that it isn't important, much like how young people aren't taken seriously in many aspects of society today. The ScotArt workshops where open to all young people aged from 8 to 25, who didn’t need to have any artistic experience prior to this. So it was great seeing young people’s confidence grow in the workshops, as they may not necessarily have worked in this type of creative format since they were much younger. For me, not being from Orkney originally, the ScotArt project was a great way to find out about different groups of young people, who I hadn’t worked with before. I hosted two workshops in Orkney before heading to Shetland. One of these was with Voluntary Action Orkney’s Connect group – they were very enthusiastic about coming up with symbol ideas. I was very impressed by their knowledge of local history, and they came up with ideas such as The Rose of St Magnus. We also had a session with the Centre’s Piergroup with lots of new members who came along and who will hopefully join in again! The workshops helped them discuss ideas for symbols such as a ‘groatie buckie’ and others involving the wind and sea. The final workshop in Shetland was a great success and it was brilliant to bring the input directly from young people in Orkney. 27 young people came along ranging in age from 8 to 18, which meant there was an interesting variety of ideas for what the symbol could be. We also created wire hearts with a wicker saltire which were spray painted. It was a challenging but good way for everyone to bond and get creative. Although the main workshop was in Shetland, I wanted to make sure that young people living in Orkney had as much input as possible. Young people in rural communities are often not given as many opportunities to those living in cities. It’s great that ScotArt have recognised this and will hopefully continue involving young people living in Orkney in projects after Scotland’s Year of Young People. Currently, we have two artworks from our permanent Collection on loan to the Barbican for their exhibition, Modern Couples, Art Intimacy and the Avant-garde (10 Oct 2018 – Jan 27 2019). Firstly, the alabaster sculpture Large and Small Form (1934) by Barbara Hepworth, and secondly, the oldest dated work in the Collection 1929 (fireworks), an oil painting by Ben Nicholson. In order for these artworks to journey from their home here in Orkney to a gallery in London, certain procedures were put in place and a ‘courier’ was required to oversee their installation. On this particular occasion, I travelled to London to witness their handling and integration into this noteworthy Barbican exhibition. In preparation for these two artworks to be packed and shipped to the Barbican, condition checks had to be carried out. As in museums and galleries the world over, detailed records relating to all the artworks in our collection are kept so that their overall condition can be monitored; and, when they are requested for loan, these records are reviewed and updated before they can be packed. Both written and visual documentation is contained within these files which archive their continued conservation and condition. This is a highly important part of the process as it reinforces the long term conservation of the object. Like many pieces in our Collection, Large and Small Form and 1929 (fireworks) have crates which have been specially designed for their needs. After thorough condition checking, the works were very carefully packaged by myself and the curator into their crates. At this point we would always ensure that the crates are stable, and that any movement through travel will not disturb the artworks enclosed. Crates are always clearly labelled so that the art carrier collecting the work knows exactly what is contained within each crate. We can then be satisfied they are ready to begin their journey. The crates were collected by a fine art carrier truck, and travelled via ferry and road to London. On their arrival to the Barbican, the crates were securely stored until I was present. The Exhibitions Organiser met with me on the morning of the install day, and a rough schedule of the day was given. I was then taken to the space where our Hepworth and Nicholson were going to be displayed and I was re-acquainted with our crates. A lot was happening in the gallery space and there were sparks of anticipation and excitement in the air - it really was a hive of activity; technicians, exhibitions staff, curators and couriers unpacking works, carrying out condition checking, and mounting and installing a variety of different works on loan from an array of different museums and galleries around the world. If I take anything away from this experience it would be a new found appreciation for the organisation of an exhibition on this scale. The time, care and dedication given to the careful installation of artworks at every stage was very much plain to see. Initial condition checking commenced. I worked with a Barbican technician to unpack our crates, who was then on-hand to create itemised packing instructions for their later reference – photos were taken at each stage of the ‘unpack’, and notes were made pertaining to each artwork on how they were wrapped, packaged and secured. The Exhibitions Organiser then joined us to witness the official condition checks, making sure that both parties (Barbican and Pier) were satisfied that everything was recorded accurately and that the journey hadn’t inflicted any loss or damage. Once complete, there followed a period of time to allow for other threads of the exhibition to materialise. The Pier’s artworks were carefully stored on packing tables where they remained until it was time for installation. 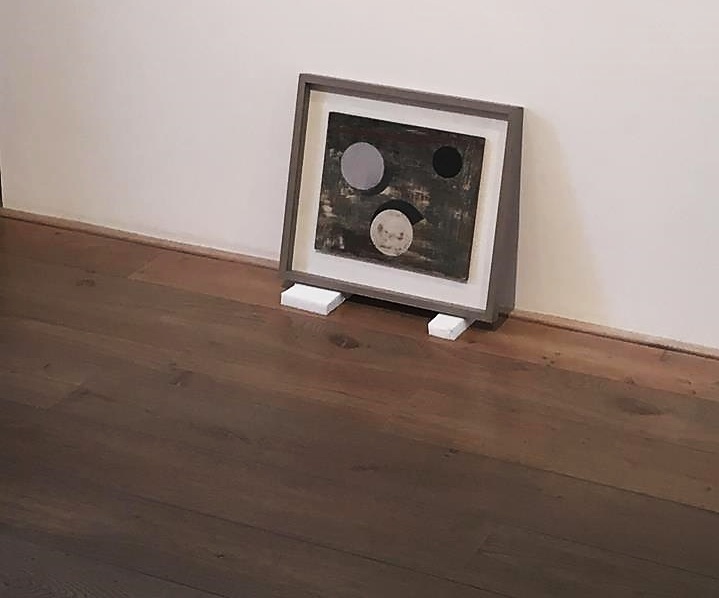 Our two pieces from the Pier are curated within a room of further Hepworth’s and Nicholson’s, thus, their installation was dependent on nominated couriers being present for checking and install. The result being, although our sculpture and painting had been condition checked, they were only actually installed much later on that afternoon. After a breadth of time, following the install of surrounding artworks, we were able to place the artworks in situ. As expected, this was the pinnacle moment of the day – seeing Large and Small Form next to another significant alabaster Hepworth sculpture on loan from Tate, and 1929 (Fireworks) alongside a lively Winifred Nicholson, I was very much aware of the new and intriguing conversations which were emerging. Another highlight of the day was simply being able to watch the Barbican technicians ‘at work’, carefully measuring and hanging works in their designated spots – meticulous measuring and considered handling made for very interesting viewing. By far the biggest draw of the installation process, aside from seeing the artworks ‘in place’, was being able to meet people from other museums and galleries. This trip as a courier provided me with the invaluable opportunity to engage with technical staff, conservators and curators from various institutions and learn from their diverse and profound wealth of knowledge. Ultimately, this courier trip gave me a wonderful insight into the journey of an artwork - from the comfort and familiarity of our Collection, to a temporary home within the arms of less familiar gallery walls. Knowing the works have settled into a new environment where they will live and breathe within the framework of an exhibition for the next few months gave a great sense of pride. I feel there lies a true significance within the role of caring for an artwork which is to offer that artwork ‘on loan’, and essentially show it off in all its glory. Exposing artwork on a platform to attract a new audience is a level of care in itself - giving it the opportunity to revel within new grounds, gather fresh appreciation and fundamentally extend its life beyond the margins of the Collection to which it belongs. As we reach the centenary of W.S. Graham (1918-1986), his reputation as one of the great poets of the twentieth century seems assured. But there was another side to this incredible creative spirit—a visual oeuvre that has never before been shown. Graham spent his life surrounded by painters. In his early 20s, he was a central figure in a vibrant community of artists congregated around Sandyford Place in Glasgow: the Polish émigré surrealist Jankel Adler had fled the Nazis and made his home in Scotland, and many young Scottish painters were drawn to him—including graduates of the Glasgow School of Art such as ‘the two Roberts’, Colquhoun and MacBryde, who would become significant figures in mid-century British painting, and a third Robert, Robert Frame, who would provide images for Graham’s first volume, Cage Without Grievance (1942). In London, Colquhoun and MacBryde introduced him to other neo-Romantic painters and artists, including John Minton and Dylan Thomas, but it was in Cornwall, where Graham lived off and on from 1943, settling for good in 1955, that Graham’s most abiding engagement with visual arts took place. Graham’s elegies to Roger Hilton, Peter Lanyon, Alfred Wallis and Bryan Wynter are among the most celebrated lyrics of the twentieth century; he was also a friend and interlocutor to fellow Scot Wilhelmina Barns-Graham, to Sven Berlin, Terry Frost, Alan Lowndes, Bryan Wynter—as well as Margaret Gardiner, founder of Pier Arts Centre. But Graham was more than a friend to these artists: he was a visual creator in his own right. Growing up by the shipyards at Greenock, Clydeside, when he left school he was apprenticed as a draughtsman for a shipbuilding company. Later he would produce meticulous calligraphic copies of his poems, and even abstract works drawing on calligraphy. Then, in 1949, on the advice of Sven Berlin, he took up what he called ‘automatic drawing’ as an exercise for channeling his creativity. From then on, his notebooks were filled with sketches: portraits, abstracts, doodles, and drawings of two distinctive features of the environment in West Cornwall: fishing boats and tin mines. Graham would produce visual work on any materials he had to hand. As he was very poor for most of his lifetime, this could include the hardback covers of books, blank postcards, scrap paper… even the wall of his bedroom. In particular, his visual imagination is present in his letters to friends: sometimes these are ornately decorated, whereas on other occasions automatic drawings and sketches of new poems replace the body of the letter entirely. Graham was a central figure in Cornwall for almost 43 years, from that first winter spent in Germoe until his death, in Madron, in January 1986. 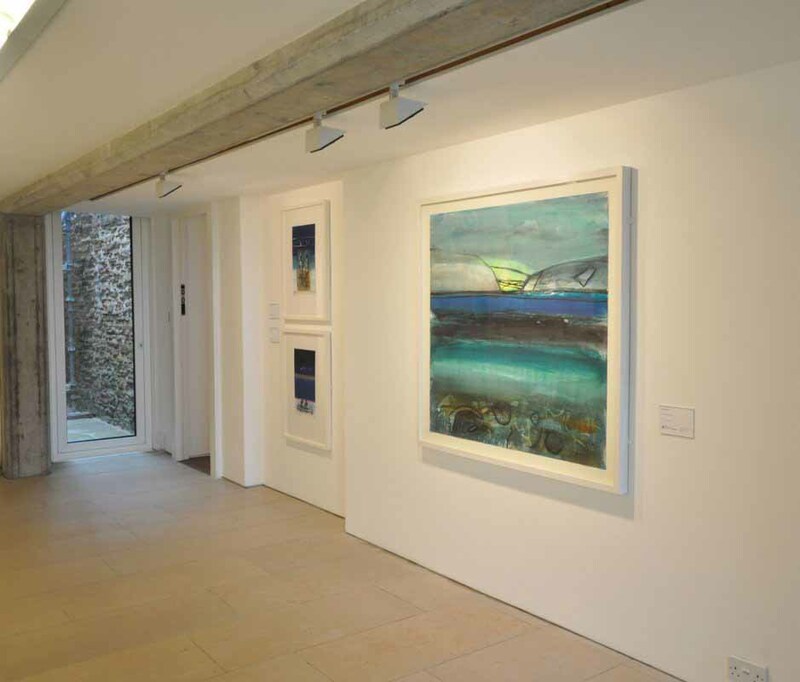 The four decades of his association with the area and its artists was longer than many of the artists synonymous with the ‘St Ives School’—Ben Nicholson, Barbara Hepworth, Bryan Wynter, Roger Hilton. 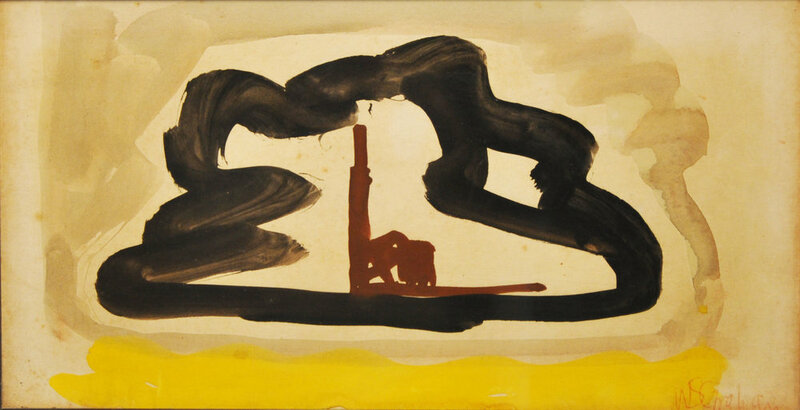 During this time he produced one of the most distinctive bodies of work of any poet of the twentieth century; he also left behind a visual oeuvre no less distinctive, a fascinating but little known episode in the history of modern British art. ‘TO REPEAT THIS CIRCLE’ Rediscovering Margaret Tait at 100: Sarah Neely reports on three important exhibitions. Rediscovering Margaret Tait at 100: Sarah Neely reports on three important exhibitions. Margaret Tait, born in Orkney, 11 November, 1918, produced an astonishing body of work in her lifetime, from the films and poems she is most known for, to other lesser known works — her photography, found object collages, paintings, and a wide variety of different forms of writing. Her key concerns as an artist resonate across the various forms she worked in. Like the movement of the camera in many of her films, Tait circled around her subjects, often returning to them in new ways and with fresh eyes and approaches, building, over time, a life’s work. Circles, cycles, roundelays appear in much of Tait’s oeuvre: in the movement of the camera, in the refrain of images, and in the music and words that appear in her films and poems, then reappear in other works, several years, sometimes decades later. She was drawn to traditional Scottish music — the Highland Reel. Her hand-painted films Calypso (1955), Painted Eightsome (1970) and John MacFadyen (1970), use music to spin energetic circles of colour onto the film stock she used as a canvas. In her films, poetry and other work, themes and motifs repeat and resurface, including the musical motifs played or whistled and the images repeated from other films or revisited through newly filmed material. Glimpses of gardens, children at play or looking, roofscapes, staircases, the outlines of doorways, things and people at work. There is a continual return. Margaret Tait’s centenary provides an opportunity to return to her work — to share it with new audiences and bring to light other lesser known works, not just her films and poetry, but also painting, photography, writing and other aspects rarely seen outside of her archive. The first exhibitions to focus on Tait in her centenary year also serve to situate her work in new contexts. Stills Gallery’s exhibition in Edinburgh, The days never seem the same: Gunnie Moberg and Margaret Tait, features a selection of the latter’s films, photographs and other archive ephemera, alongside work by Swedish-Orcadian photographer, Gunnie Moberg. The solo exhibition, Margaret Tait: film/poems at Orkney’s Pier Arts Centre, presents a treasure trove of Tait’s diverse body of work — films and archive ephemera, as well as paintings, found object collages and audio recordings of Tait reading her poetry, and is accompanied by an exhibition that brings together sculpture by Tam MacPhail, Gunnie Moberg’s husband, with photographic work by their son, Paul MacPhail. 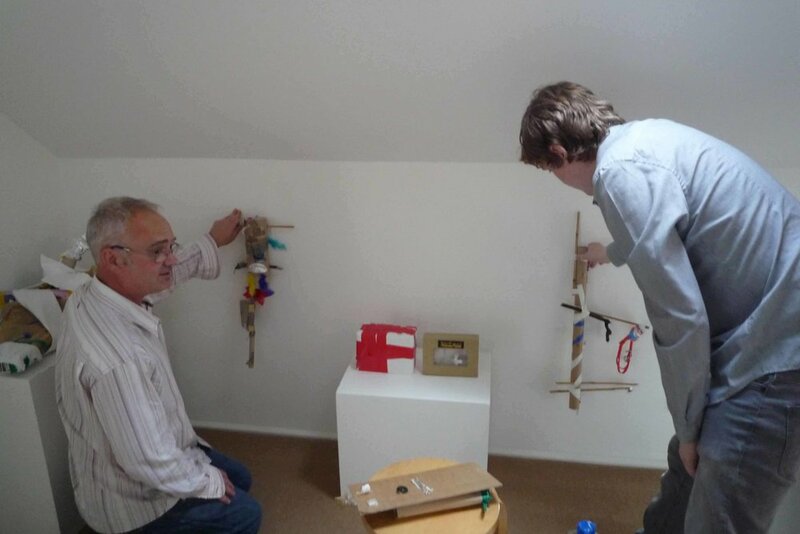 Finally, for two days in June, and…, a small exhibition, was curated by Peter Todd, a filmmaker and friend of Tait’s. Held in his home in South London, it featured watercolours by Tait alongside paintings and other art works by Sarah Christian, Prunella Clough, Caroline Gregory, Jane Joseph, Annabel Nicolson, Joanna Margaret Paul, Roxy Walsh, Suse Wiegand and Jacqueline Utley. It’s important that Tait’s work is seen in shows such as these. The recent release of new HD scans of a key selection of Tait’s films by LUX, the main distributor of her films, goes some way towards ensuring that those films don’t fade quietly away and that they continue to be shown, are returned to and revisited, shared with new audiences and seen with fresh eyes. This, alongside the recent exhibitions, allows for the opportunity to see Tait’s work in relation to other artists enabling new dialogues to emerge, further emphasising the contemporary relevance of the work. The sensitivity with which the exhibitions have approached the presentation of Tait’s work, also ensures that the integrity of the original work and Tait’s legacy is maintained. During her lifetime she, like many artist filmmakers, was intimately involved in the exhibition of her work, often holding screenings in her local community, or projecting her 16mm films onto a wall of her studio or home for family and friends. Tait was uncomfortable with her work being exhibited in galleries, and was particularly resistant to offers made to show her work on a monitor or small screen. In this respect, exhibiting Tait’s films in a way that is respectful of her own intentions presents a challenging task, but is one which both the new exhibitions featuring her films admirably undertake. At Stills, a dedicated, bijou cinema space is situated in the back of the gallery, while at the Pier, a cluster of screening spaces, varying in size, are devised specifically with the intention of recreating the intimate feel of Tait’s own screenings. Todd’s exhibition set in a domestic space, also captures the spirit of Tait’s own approach. It is both moving and powerful to see all of the work together. Like the carefully laid out table that Tait describes above, which for her, serves as a metaphor for the kind of poetry she’d like to write (and, in many ways, is akin to the close observational style which characterises so many of her films), Tait’s work deserves the same kind of loving attention: to be looked at, considered, then returned to, again and again. The title of this essay is taken from Margaret Tait’s description of filming A Place of Work, ‘a close study of one garden and house and what could be seen there and there within the space of time from June 1975 to November 1975’. See ‘Place of Work’, Luxonline, www.luxonline.org.uk/artists/margaret_tait/place_of_work accessed 3 September 2018. Sarah Neely is a Senior Lecturer at the University of Stirling, where she teaches Film and Media. Recent publications include an edited collection of poems and writings by Margaret Tait (Carcanet, 2012) and Between Categories: The Films of Margaret Tait – Portraits, Poetry, Sound and Place (Peter Lang, 2016). This summer our Seasonal Assistant post has been held by Brandon Logan, who is currently entering his fifth year at Edinburgh College of Art, studying for an MA in Fine Art. Here Brandon muses on our summer exhibition, Margaret Tait, film/poems. The procession of the Orquil Burn from source to sea; children playing around the house while music plays; a Kirkwall street made obscure by snow; gardens (her own in Firth) viewed in three ways: here is the stuff of life which becomes full and deserving subject once passed through the lens of the Orcadian poet/artist/filmmaker, Margaret Tait. In this, her centenary year, the Pier Arts Centre is presenting a celebratory exhibition of Tait’s work, film/poems, situating her work in film – for which she is perhaps best known – alongside, and in conversation with, her work in the written word. Born in Kirkwall in 1918, Margaret Caroline Tait is now renowned as a leading avant-garde filmmaker, though she first studied medicine in the late 1930s at the University of Edinburgh, going on to serve in the Royal Army Medical Corps and work in various hospitals afterwards. It wasn’t until 1950 that Tait enrolled to study film at the Centro Sperimentale di Cinematografia in Rome, marking the beginning of a new career and with it the precious opportunity to focus her mind on film. There in Italy she co-founded her company, Ancona Films, before shortly moving office to Edinburgh’s Rose Street. Tait travelled well in Europe and her service took her across South and Southeast Asia. 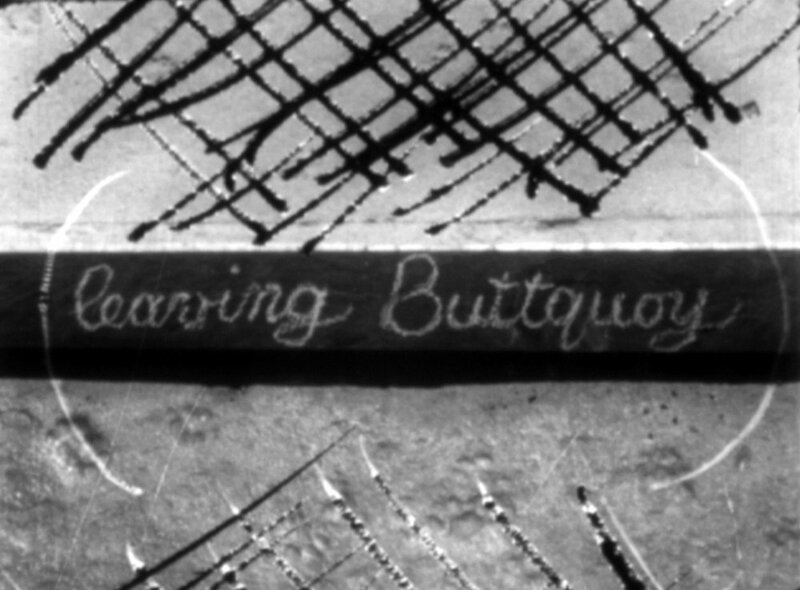 It is interesting to note that even while based in Edinburgh and having tasted the world, many of her early films were made in Orkney - amongst them A Portrait of Ga (1952) and Happy Bees (1955) – both screening regularly during the Pier exhibition. It would appear that like many Orcadian artists, much of what inspired her she was ultimately able to find in her home islands. This may in part be due to the fact that Tait’s films so often move around themes of the everyday, and this in a sense is always at hand. Beyond a simple appreciation of the commonplace however - more penetrating perhaps - is a deep interrogation of the familiar in her work, and so perhaps Orkney did lend itself well to this end, as she made a permanent return home in the 1960s. Place of Work (1976) best exemplifies this interrogating nature. In this film Tait presents to the viewer slow, often unmoving shots of Buttquoy House, her childhood home in Kirkwall, prior to moving and leaving it for good. The result is an intense half-hour long study which leaves us in the shadow of its maker as she attempts to exhaust this place, to unpick and un-weave the memory of it while the opportunity remains. The desire to take apart what we know so as to better understand it is reflected in much of her written work. As we move between the films in the Pier exhibition a few of her most questioning poems appear on walls. What is light? They ask us. What is it made of? What is elasticity? The answers which Tait finds are not always those which we would first expect. Steel, we now know, is the most elastic thing of all. Tait apparently best liked showing friends the film fragments of whatever had captivated her recently on her living room wall, on a screen mounted within a frame so as to create a true picture in motion. It is in the Pier’s double-height gallery space which something of Tait’s sensibility has been most essentially captured. The room’s five-meter walls have been dressed in black cloth, making for a black-out which allows the usually airy space to feel both intimate and endless. A cycle of films play, not in a frame, but on a screen set just out from the wall. The effect is such that the film floating before the viewer takes on the life of an object, a thing in itself - it is a struggle to sit back, even more so not to reach out and grasp it. Museum & Galleries Assistant Kari Adams discusses why is it important to showcase work as an artist collective? 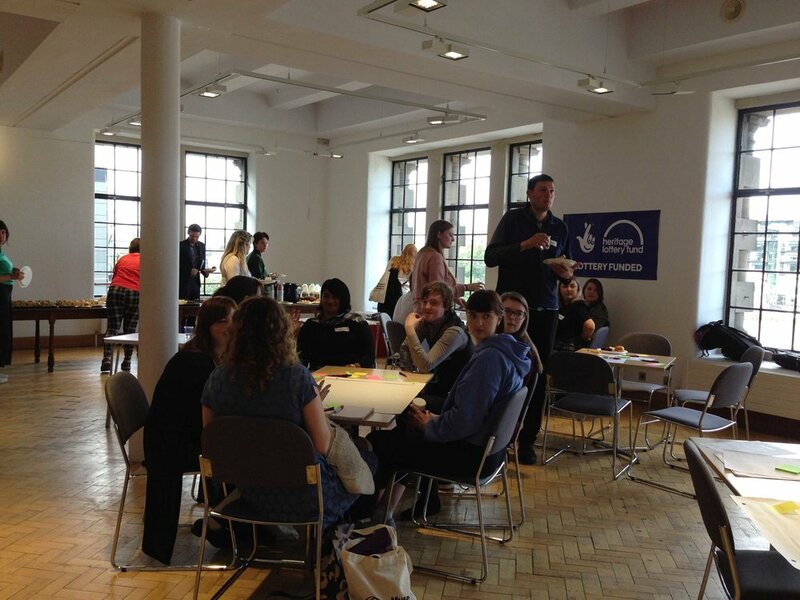 Museums & Galleries Assistant Kari Adams tells us about her week at the British Museum.